PHILADELPHIA The parents of a 10-year-old Pennsylvania girl are urging officials to change the policy regarding organ transplants to allow the sickest to receive the first available appropriate donation, regardless of age. Sarah Murnaghan of Newtown Square has end-stage cystic fibrosis and has been unable to leave Children's Hospital of Philadelphia for three months, needing a ventilator to breathe, according to an online petition on Change.org that had drawn more than 34,200 supporters by Tuesday. Her mother, Janet Murnaghan, said her daughter has been waiting for a lung donor for a year and a half. She now only has five weeks to live, Janet told CNN. 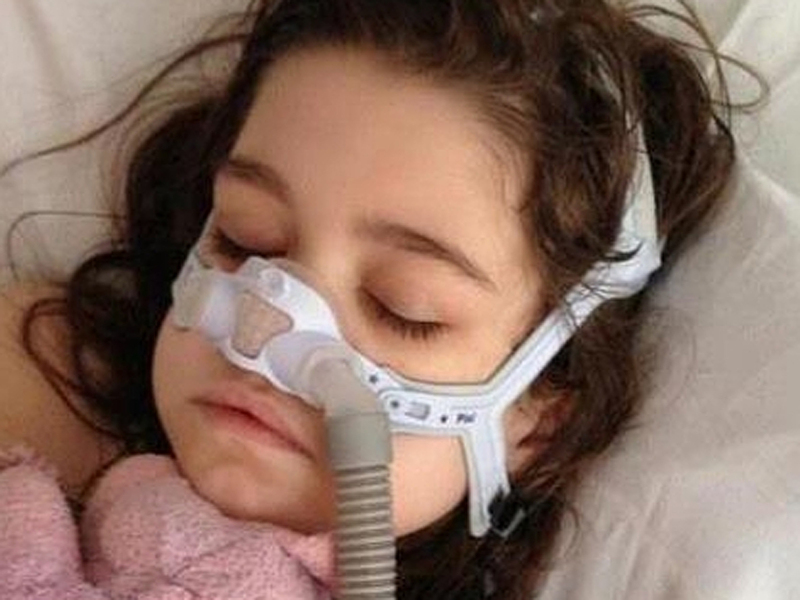 "We knew at some point, she would need new lungs," her father Fran said to CNN. "We had hoped it would be much further down the road, but the disease has progressed." Janet said Sarah has been awaiting a transplant from a pediatric donor and is also eligible for a lung from an adult donor. Under a policy instituted in 2005, organ allocation policies are supposed to be based on severity of illness rather than the amount of time on the waiting list, but that approach only applies to patients over the age of 12. Sarah is a top priority on the pediatric list, but officials say there are far fewer pediatric donors due to improved treatment. According to Health Resources and Services Administration, there were 10 lung transplants completed on children 10 and under in 2012. For comparison, there were 1,744 lung transplants on people 11 and older that same year. Her parents say the severity of Sarah's illness would normally make her the highest priority for an adult lung, but all adults in the region with her blood type will be offered the lungs first, even those more stable and with less severe conditions. After an appeal was declined, the online petition was launched calling for that policy to change and for federal officials to make an "exceptional ruling" on behalf of the child. "We don't want preferential treatment for Sarah, we want equal treatment," Janet said Sunday. "We want it to be a triage system like they do for everyone else where the sickest patient goes first and ones with ability to wait, wait." Dr. Stuart Sweet, director of the pediatric lung transplant program at Washington University School of Medicine in St. Louis, who helped draw up the pediatric lung allocation guidelines, said a prioritization system wasn't set up for children younger than 12 because of a lack of data to set up proper statistical models, and an "apples-to-apples" comparison of relative illness between the two groups wasn't possible. "Each time we direct a set of organs to a given patient, because there's a limited supply, that reduces the likelihood that another patient will get that organ and survive to transplant," he said. While those advocating on behalf of younger donors fear that adult candidate may receive an organ despite being less sick, "there's no way to really answer that question," and the number of adults who die waiting for a transplant vastly outnumber the number of children who do, Sweet said. "The reality is ... the numbers suggest that there's lots of patients who are running out of time on the waiting list and many more patients run out of time ... in the older age group than the younger group," he said. Janet and her sister, Sharon Ruddock, said that although fewer children were dying while awaiting transplants, the number represented a much higher proportion relative to the number on the waiting list. "They're allowing children to die at a far greater rate than adults," Janet said. "The system is set up is to prefer adults, and the data supports that." Sweet said officials recently changed the pediatric system to give sicker children higher priorities for transplants and also cast a wider net for suitable candidates, searching beyond existing donor regions to an area 1,000 miles from a donor hospital for a suitable candidate before moving on to adolescent or adult candidates. "The policy is designed to be fair to everyone, and we can't make exceptions on a case-by-case basis beyond the exceptions that are built into the policy to cover circumstances where the patient's not being served well," Sweet said. However, he said it would be possible for an appeal to be made directly to an adult transplant center, and the Murnaghans said such appeals had begun Friday on behalf of Sarah. "We only learned that we could do this the day before yesterday," Janet said, adding that her daughter had been stable that day and was sleeping. "She knows she's very sick, but she doesn't have perspective on exactly how high the stakes are," she said. "She has very groggy moments and has hearing loss from some of her medication ... so it's been a little rough, but we still try and play games and do things. We're sort of pushing through and trying to be positive with her." Sweet said the system is re-examined regularly in an effort to remove any inequities based on both the outcomes for patients and feedback from organ donors and recipients. "The allocation policies are not static, they're dynamic, and they are adapting on a regular basis to try and address concerns that are raised," he said.